When it comes to my decor, I like it cute. I like it cheap. And I like it with Swedish meatballs. So it's no surprise that I really, really love Ikea. 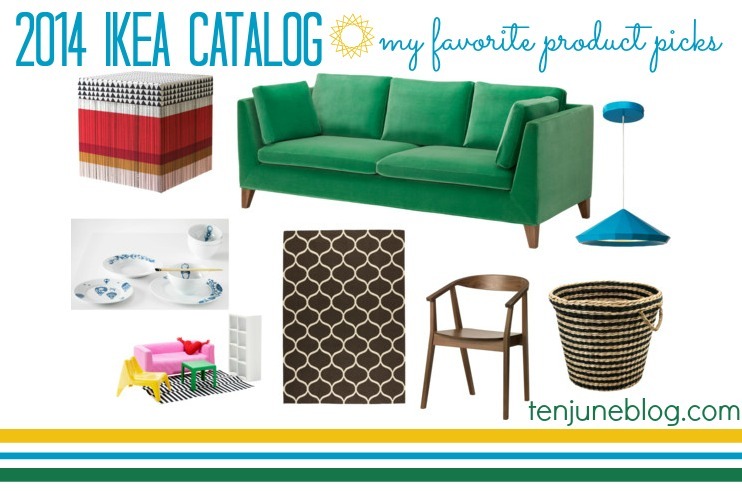 Have you gotten your 2014 Ikea catalog in the mail yet? Don't worry, I kissed the mailman when he delivered it. And then proceeded to spend waaay too much time ripping out pages and furiously circling my favorite products. And I'd be a bad blogger if I didn't share some of those favorite finds with you! I mean, seriously with that green velvet couch? That is ridic. I am in love. And for under $1,000, I could easily find a fun spot in my house for that piece! Ikea always kills it in the storage department, so I was automatically pulled towards that adorable black + neutral woven basket and the adorable patterned, colorful fabric box. Hello, HDawg toy storage! Speaking of HDawg and other kiddos... that doll house furniture in the bottom left corner... I die. How cute is that? I know that "doll housing-ing" (did I just make that into a verb?!) is a big trend right now and it's hard to track down cute, contemporary miniature furniture. Well, not anymore. For $13 we can all have our own mini Expedit, Lack and striped rug. So precious. 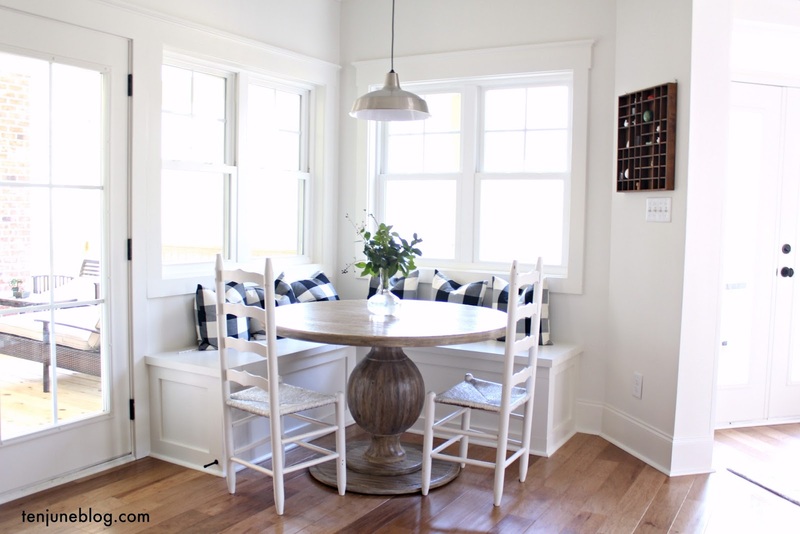 You guys know I love the Ikea flat weave rugs (like the one in my dining room!) and their new Stockholm rug is no exception. I love that it comes in yellow, too. Have you scoped out the 2014 catalog? What are your favorite finds?! Got it in the mail the other day! So many lovely new goodies. Must make a trip soon. The only good thing about leaving the beach this weekend, is so I can hit up Ikea next week!!! Love those baskets you got!